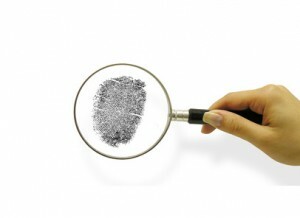 It’s common practice for landlords to check if a new rental applicant has a criminal history. In fact, that’s mandatory if a landlord wants to avoid liability. However, under the Fair Housing Act, tenant screening policies that misuse criminal background checks may be discriminatory. HUD, the agency tasked with prosecuting housing discrimination cases, recently issued an official guidance statement that clarifies when landlords have crossed the line when screening tenants for criminal history. Not applying the policy uniformly to every applicant or tenant. While HUD generally steers clear of advising landlords against tenant screening, the agency’s newer “disparate impact” rules can conflict when it comes to criminal background checks. The problem stems from the numbers: Over thirty percent of adults in the U.S. — around 100 million people — have a criminal record. Minorities, however, are far more likely to face prosecution and conviction for crimes. For instance, recent statistics show African Americans were three times more likely to be imprisoned for crimes than Whites. African American males are six times more likely to be incarcerated than White males. Hispanic males were twice as likely as White males to face incarceration. As a result, HUD has taken the position that rejecting every rental applicant with a criminal history creates a ‘disparate impact’ on minorities, and therefore is discriminatory. It’s important to note that those persons with a criminal history are not expressly protected under the Fair Housing Act; however, a policy that burdens only minority applicants is in violation. This is true even if the landlord’s policy is not intended to discriminate. HUD’s position makes it difficult for landlords in towns that have adopted “nuisance” laws requiring landlords to evict tenants where a property has been visited by local police. In many cases, those local statutes are vague when it comes to targeting a specific property. Even police officials have admitted that they have looked the other way when a homeowner creates a disturbance and yet prosecuted tenants for similar conduct. More complaints are levied against rentals, despite the severity of the complaints. The biggest problem with nuisance laws, however, is that the landlord must evict a tenant regardless of whether the person was convicted, arrested, or even charged with a crime. In order to prosecute a case for discrimination, the victim (HUD) must show that the policy of rejecting tenants over criminal history is having an obvious discriminatory affect, or that it creates a disparate impact. To prove this, HUD might consider applicant data collected by the landlord, tenant files, census demographic data and localized criminal justice data in determining whether there is reasonable cause to believe that the tenant screening or property management policy or practice causes a disparate impact. If that burden is met, the landlord must show that the policy is necessary to achieve a “substantial, legitimate, nondiscriminatory interest.” Most often, the landlord will argue that rejecting criminals is necessary to protect other tenants, adjacent property owners, and reduce the landlord’s liability. That is an acceptable argument; however, it is not enough to make “bald assertions” or generalizations based on stereotypes. It must be shown that an individual applicant with a conviction record is a threat. For that reason, the landlord must consider the severity of the crime, and the amount of time that has passed since the conviction. Relevant factors include: the circumstances surrounding the criminal conduct; the person’s age at the time of the conduct; whether the individual has maintained a good rental history; and, any evidence of rehabilitation. A landlord who rejects rental applicants based on prior arrests without a conviction will not be able to prove a legitimate threat to safety, according to HUD. Conviction, on the other hand, is sufficient to prove criminal conduct. However, the landlord still must show that excluding a person with a conviction achieves a substantial legitimate purpose. If the landlord can demonstrate a legitimate need to reject the applicant, HUD then must argue that there is a better, less discriminatory policy that achieves the same purpose. For instance, when screening tenants, HUD recommends that a landlord look at an individual’s financial and other qualifications first, and then run a criminal report only if the applicant appears otherwise qualified. There is an exception for renters convicted of the manufacture and distribution of illegal drugs. According to HUD, a landlord cannot be liable for discrimination if adverse action is taken on that basis. However, this exception applies only where the applicant was convicted, and only to the sale and manufacture of drugs — not drug possession. LANDLORD TIP: Asking a rental applicant or tenant about past drug or alcohol use is illegal. Substance and alcohol abuse is considered a disability, and rejecting or evicting a tenant suspected of addiction problems is discriminatory. This does not apply to current use of illegal drugs. It also is a violation of the Fair Housing Act to apply tenant screening policies, specifically criminal background checks, differently depending on the tenant. For instance, requiring criminal records on Hispanics but not Whites, or rejecting a minority applicant for a specific conviction, but not rejecting a White prospect with a similar background would be signs of discrimination. HUD suggests that going out of your way to clear a White applicant and not offering that same treatment to a minority applicant also would flag discrimination. Obviously, a landlord must obtain the individual’s criminal history prior to rejecting the applicant for that reason. Speculation on a person’s criminal background would be discriminatory.